Erin from the Pod Volunteer office was lucky enough to visit the amazing projects that we work with in South Africa. It was around my tenth time to South Africa and second visit to many of the projects we work with there. In this blog Erin shares the highlights of her visit to the Horse Rehabilitation project. I always enjoy travelling to South Africa and immediately feel at home there. 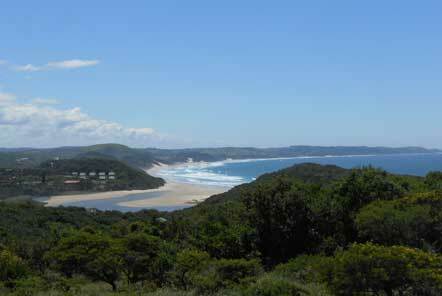 It’s a beautiful country with huge diversity from the cosmopolitan city of Cape Town to the bushveld in Limpopo, from the Drakensberg mountains to the desert in the Karoo, all surrounded by the coastal belt, with the Indian Ocean on one side and Atlantic Ocean on the other. It’s a fantastic country to explore if you get a chance to either during your free time at the volunteer placement or at the end of your placement. 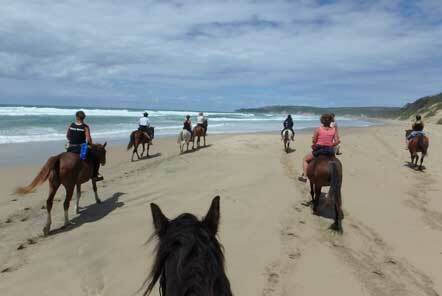 The first stop on my trip was to the Horse Rehabilitation project in the Eastern Cape. I was met at the airport by Penny (who manages the project with her mum Georgie). It was great to be back at the farm and Georgie met us with a cup of tea. There’s always a cup of tea going at Georgie’s after a hard day’s work! After our tea, Penny, one of the volunteers and I set out to feed all of the horses (at the time of my visit they had 43 horses so it’s not a quick job)! Whilst feeding the horses we also made sure that they all had fresh water and ensured that we had seen all of the horses so we could check that they were all where they should be and checked their physical condition and well-being. We first fed the horses which have been through the rehabilitation process, they are in fields closer to the beach and are used for beach and bush trails, the same process is then done for the horses that are based on the farm, these are the horses that are currently being rehabilitated. One of the horses had an eye infection so myself and the volunteer watched while Penny gave the horse an injection of antibiotics to help it clear up. 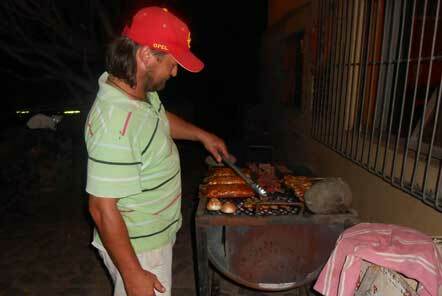 That evening after we had fed the horses and finished a couple of other jobs, Georgie’s family joined us at the farm and we had a braai (a South African BBQ). Georgie has a large family and it was great to see them again. Volunteers often comment that because it’s a family run project that they felt like one of the family during their placement and I completely understand why. It’s a very relaxed atmosphere, it’s hard work and the needs of the horses always comes first but it’s really good fun and very rewarding. The following morning we fed the horses on the farm and checked that all horses had water. 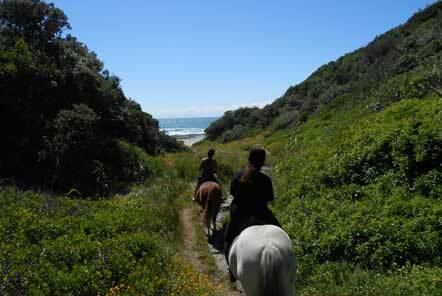 We then headed to the horses by the beach and got them ready for a ride which was booked for that morning. This involves Penny using her knowledge of the riders who have booked (including previous riding experience, height and weight) to match them to one of the horses. We then caught, groomed and tacked up the horses ready for the ride. 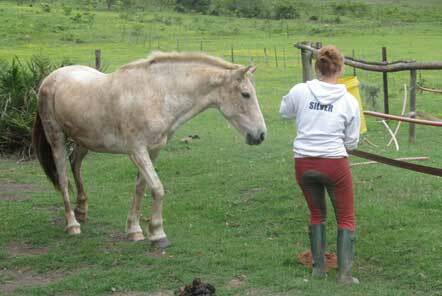 One of the horses that we were taking on the ride was Frodo who I had ridden the last time I was at the project. I couldn’t believe how much he had changed, I almost didn’t recognise him, he looked amazing and was in such good condition. I accompanied the guests and Penny on the ride. It was so nice to be back in the saddle and riding along the beach with the Indian Ocean coastline providing the most beautiful backdrop. The guests were of mixed ability, one had her own horse, another had some experience and one was a complete beginner but by the end, all were happily cantering down the beach with myself and Penny. When we got back from the ride, we untacked the horses, took them back to their fields and made sure they all had food and water. Penny and I then headed back to the farm. After doing come more jobs around the farm, we sat down for a Sunday roast which Georgie had made and watched some British TV programmes which was lovely (Georgie is originally from the UK hence her love of tea and British dramas)! At the end of my time at the project I got a lift to the airport whilst fellow volunteers looked forward to the rest of their time at the farm. It was time for me to visit my next project.